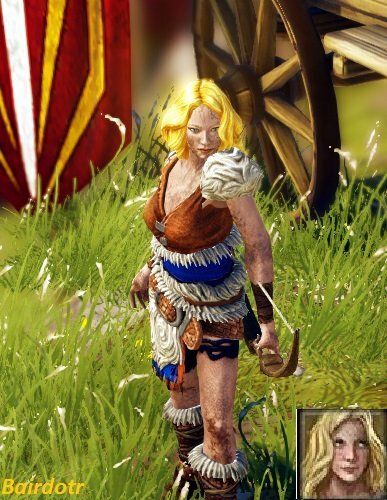 The Wild Woman and the Renegade is a Side Quest in Divinity: Original Sin Enhanced Edition. To start this quest, talk to Bairdotr about her past to learn that she is looking for her companion Jareth of Homeforest that has disappeared. She thinks someone called Attenberah is involved in his disappearance. Speak with Bairdotr outside the Legionnaire HQ in Cyseal to obtain the quest. She will ask you to find a woman named Attenberah. Continue through the quest Infiltrating the Immaculates to make your way into Luculla Forest and further east till the Eastern Luculla waypoint. Continue East to make your way to the Sacred Stone. Inside you will find a waterfall upon a bloodied river. Walk through the Waterfall to find a hidden cave behind it. Continue along the cave till you find Jareth of Homeforest rummaging through a pile of bodies. You will soon learn that it was Jareth who left Bairdotr there to die. NOTE: Bairdotr may switch sides and join Jareth instead in the upcoming fight depending on how you treated her. Then you will lose the ability to use her forever. To avoid this, you should just attack Jareth without initiating any conversation with him. Defeat Jareth and his summons to complete the quest.